What are the types of Girl Scout cookies you crave all year long? If you answer is all of them... you can get most of the best selling Girl Scout cookies recipes in this free eCookbook. This free eCookbook: 8 Types of Girl Scout Cookies: Your Favorite Girl Scout Cookie Flavors, featuring 13 pages of different varieties of Girl Scout cookies - is filled with all your favourites! PLUS - you will also get the AllFreeCopycatRecipes™ - the Crazy for Copycats newsletter for FREE! Perfect for when you're craving Girl Scout cookie flavors of the different Girl Scout cookies. Full of mouth-watering and easy types of Girl Scout cookies, including one of the best-selling Girl Scout cookies, Thin Mints (page 5). 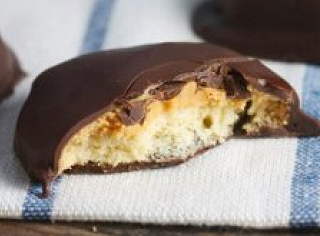 You can make more of these cookie recipes from scratch with a recipe for homemade Tagalongs (page 7). 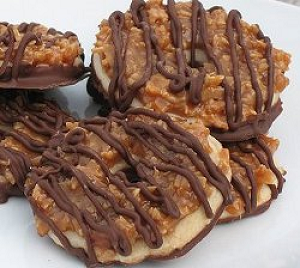 If you want a diverse selection of types of Girl Scout cookies, don't forget to try the recipe for a homemade version of Do-Si-Dos (page 8), as well as one of their best homemade cookie recipes for Samoas (page 6). Some Girl Scout cookie types aren't thought about as often as others, but they're every bit as delicious! This free eCookbook includes the more unique Girl Scout cookie varieties too! For instance, you can find tastefully simple copycat recipes for Girl Scout Lemonades and Girl Scout Cinna-Spins. If you haven't tried these Girl Scout cookie types, now is your chance! Impress your friends or family with your knowledge and technique with the different Girl Scout cookies you can make. No matter, which tastefully simple copycat recipes you decide to make, this free eCookbook ensures that you can enjoy your favorite Girl Scout cookie flavors all year long! Make sure to download your free copy today and keep it handy so you can eat Girl Scout cookies all year round. What's the highest number of boxes sold? What did Girl Scouts sell during World War II instead of cookies? 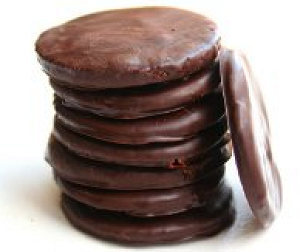 Sit back with a box of Thin Mints, and absorb some cookie knowledge. Don't request every offer you see. Only request those that really interest you, or will donate to charity.